Fibromyalgia can be tricky because you want to stay active with stretching and exercises, but you don�t want to overdo it. These stretches should help. It's time to cure your Fibromyalgia.Start your​ online therapy program today. Learn how to quickly treat your fibromyalgia pain with three easy-to-implement self massage tips. Discover how you can use self massage for fibromyalgia pain. Want to get a weekly tip directly to your inbox? Natural ways to reduce and repair Fibromyalgia are through your diet and supplementation. 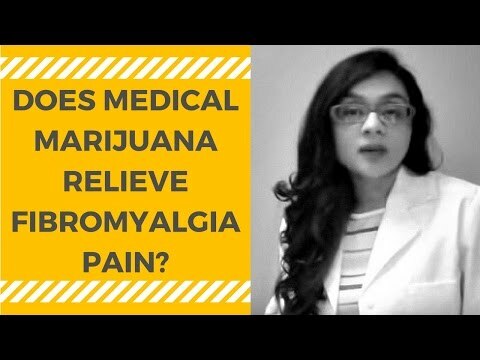 Fibromyalgia and medical marijuana strains are showing a great connection in lower pain and helping with fibromyalgia symptoms. 3. You should feel TENSION in the muscle, but NO PAIN! Watch this video to learn how to meditate to relieve stress and help with sleep. In this episode, we do a series of poses that will help anyone with Fibromyalgia. A great little yoga pose for healthy sleep and relaxation. Give it a try and get some rest! Great for fibromyalgia, chronic fatigue syndrome and muscle and joint pain. Famous Physical Therapists Bob Schrupp and Brad Heineck demonstrate an effective pain relief stretching program for Fibromyalgia. This program is gentle and easy to do. A lot of the time my Fibromyalgia pain is triggered by stress, anxiety, and some foods. Here are some techniques that I have found that work for me. Watch to find out about current research on medical marijuana (cannabis) and Fibromyalgia and hear about the results I've seen in my own patients struggling with Fibromyalgia. A Simple stretch for the relief of Fibromyalgia back pain. This simple Fibromyalgia exercise will hit the major muscle groups in your back, core, shoulders and legs. These are the 6 supplements I take for Fibromyalgia pain and fatigue.